The business tech world has been in flux in recent years. We have seen the evolution of data analytics platforms from being specialised software tools to an essential component of a company’s everyday processes, according to a recent Performance Canvas article. Indeed, data analytics has been playing a bigger role in how companies operate worldwide, and this is only just the beginning. 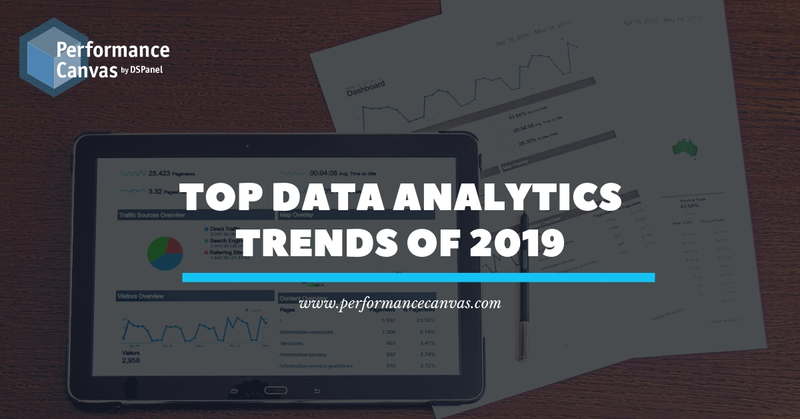 This article will look into some of the upcoming trends to watch out for in the data analytics scene this year. Data analytics usually functions in partnership with artificial intelligence and machine learning applications, which makes assumptions and predictions based on the analysed data. Many companies are apprehensive of AI models because they don’t allow for manual checking. 2019 will be a year when data analytics will try to create more transparency behind algorithms that result in certain actions. For instance, part of Forbes’ ‘15 Machine Learning Companies to Watch in Europe’ is Mapillary. The Swedish application crowdsources map photos from smartphones to combine them into a street view. Machine learning has been made more accessible by applications like Mapillary through increasing transparency in terms of how these applications aggregate photos into a single image. We hope to see more applications that show machine learning models in more comprehensible and relatable terms this year. DevOps is the cooperation between software development and business operations to create value for a company. It’s a faster, scalable process that promotes code as part of the business infrastructure. This has resulted in many businesses using analytics to change how the workforce operates. Fleet companies in the UK, for example, are using telematics to collect data through data plans. The rise of the Bring Your Own Device policy in 49% of UK businesses as well as issuance of service units and data allowances are slowly becoming the norm in the shipping industry. Verizon Connect UK points out how mobile devices improve efficiency among field workers, particularly through mobile apps, data plans, and hardware devices. Policies related to mobile devices provide not just support to the workforce, but have also become essential for collecting necessary information related to their job — such as for improving route options and better service delivery. In operationalising data analytics, companies have to prioritise data security and privacy. 2018 is known for the year that data breaches went a little too far, and the aftermath of these issues will continue to make data security and privacy a hot topic this year. In May 2018, the launch of the European Union’s General Data Protection Regulation (GDPR) was rolled out. This EU policy now regulates businesses regarding their behaviour with consumer data and privacy. However, some companies in Sweden are protected from this through the country’s own Data Protection Act and its Fundamental Law on Freedom of Expression. Tech companies like Eniro, Hitta, and Ratsit have been issued a “publisher’s license” which protects what happens and who manages their database as long as it’s publicly available. However, Sweden remains an isolated case, as other companies have learned the hard way. For instance, Google was slapped with a €50 million fine for GDPR violations in France earlier this year, serving as a wakeup call for compliance efforts in the entire EU this year. In the fast-paced world of data analytics and business, developments can drastically advance overnight. These top trends hope to shape what’s in store for us in 2019 and how to anticipate the movement of companies worldwide.